It’s summertime and people are out grilling and gathering around tables laden with food. Problem is, there usually aren’t many vegan options. 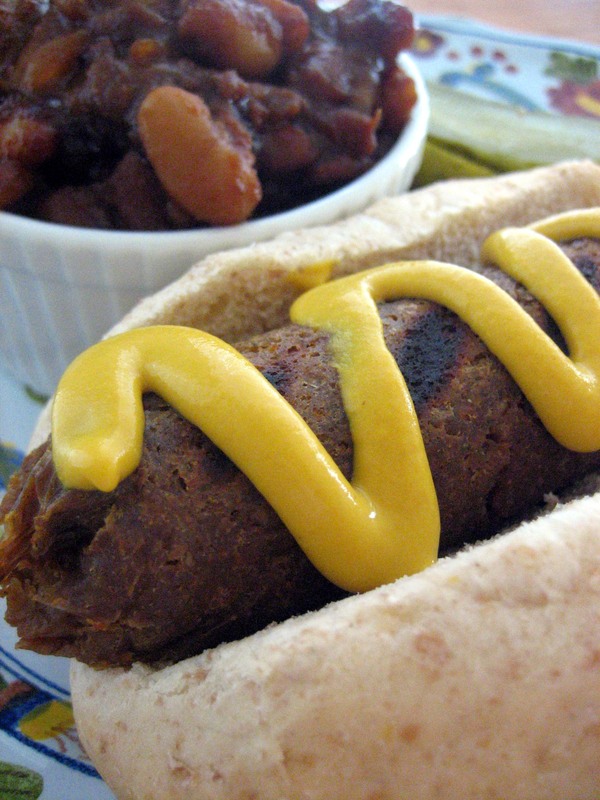 These veggie dawgs will be a hit at your next gathering and are, as always, entirely vegan. 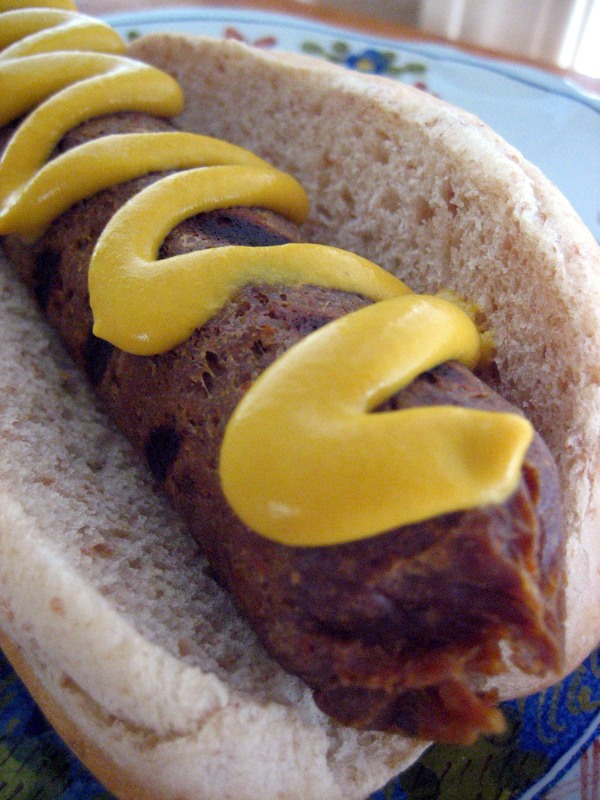 I had a few goals when I set out to make these veggie dawgs: First, they had to contain some actual vegetables in order for me to call them a bonafide “veggie”dawg. 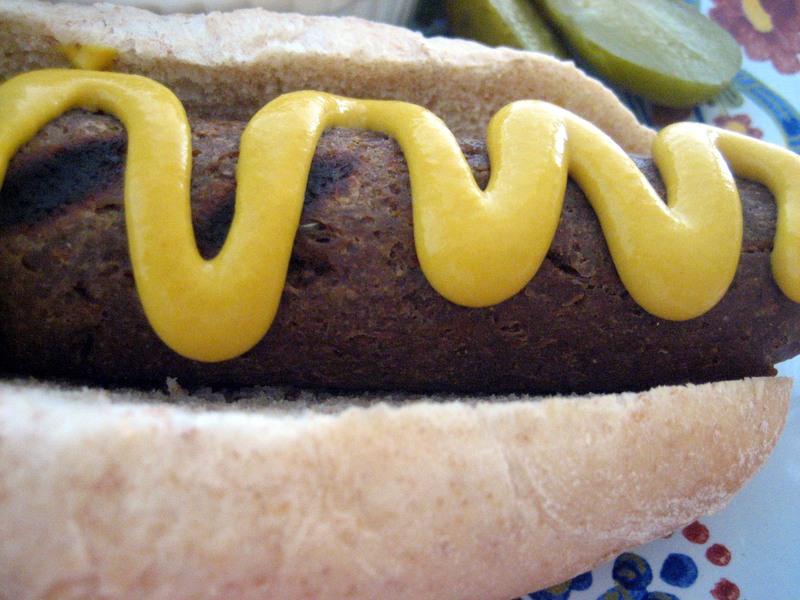 Second, I wanted to improve the texture and flavor of regular seitan dogs and create one that was less “bready” in nature. Third, as always, I wanted them to be more nutritious. I believe I suceeded on all three counts and hope you enjoy this recipe as much as we do. Drizzle a bit of olive oil in a pan and brown the onions over medium heat. Add the following to a food processor and blend until homogenous: tofu, browned onions, walnuts, carrot, garbanzo beans, garlic, tamari, Worcestershire and beer. In a separate bowl, combine all the dry ingredients and whisk together well. Mix the wet into the dry and knead with your hands until fully homogenous. Set aside to rest for 15 minutes. Divide the dough into 8 equal-sized portions. Place 8 foot-long pieces of aluminum foil on a surface in a stack with the short edge facing you. Place one dough portion along the bottom edge, a few inches from the end, and mold into a sausage shape that is bun-length long [@ 5 inches]. Using the foil, roll the dough into a cylindrical tube and twist the ends once completely rolled to form the tubular sausage shape. Repeat the process for the remaining dough portions. Steam in a steamer basket for 30 minutes. 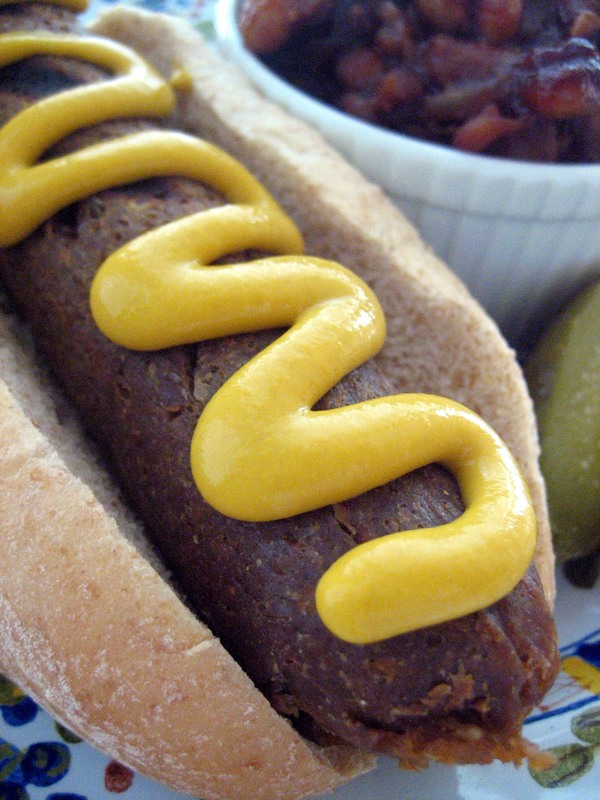 Let the veggie dawgs cool and then either reheat in a pan or on a grill. You lost me at garfava. Is there a substitute for that? Looks like a great recipe! Garfava flour is just a mixture of garbanzo bean and fava bean flours. You could use straight up garbanzo bean flour.